Fall is here! Personally, this is one of my favorite times of the year. The leaves are changing and every one is getting into the giving spirit. Of course, the changing leaves mean that Thanksgiving is just right around the corner. 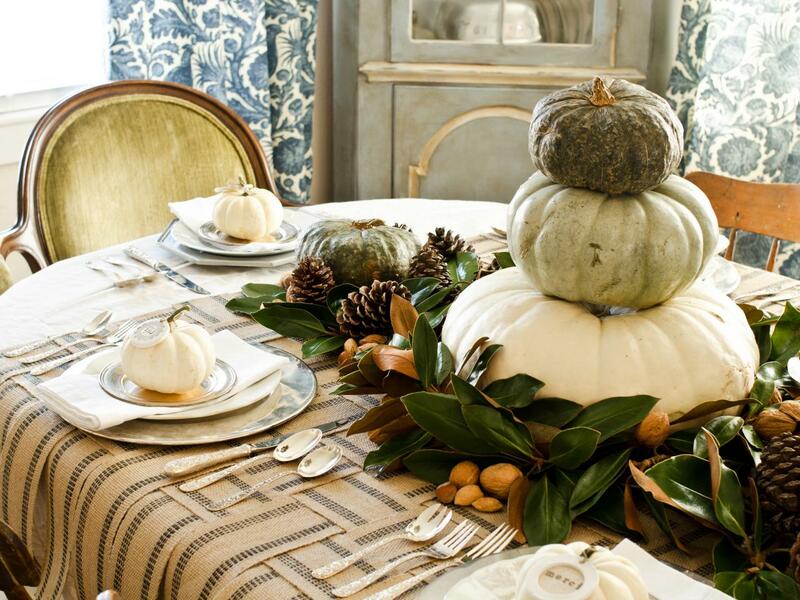 You have planned out the guest list and the food, but is your house looking as ready for the season as you are? Here are some of my favorite options to get your house ready for Thanksgiving. 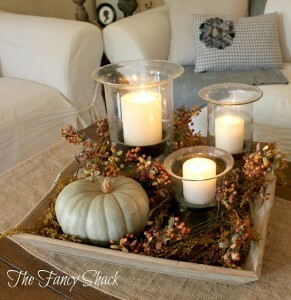 The entry way is the first thing your guests will see, so you have to start your fall decorating there. 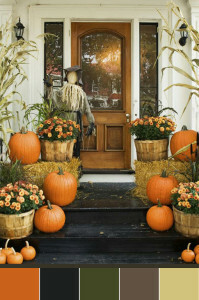 I love this entrance because of the use of flowers and pumpkins to create a festive look. 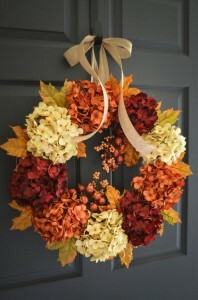 This hydrangea wreath would also be a great addition. It’s perfect for the season and beautiful at the same time. If your family is like mine, a lot of Thanksgiving is centered around the family room, talking and watching the parade and football. Your living room has to be decorated for the holiday, too. 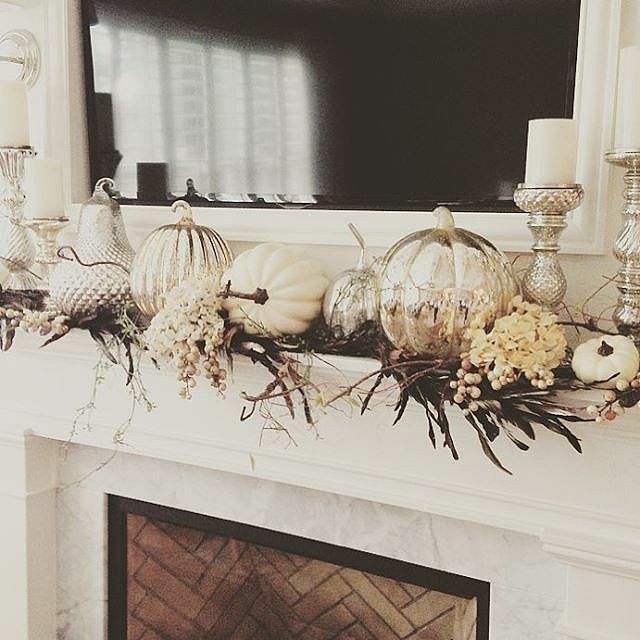 I love this fall mantel because the color scheme is so current. 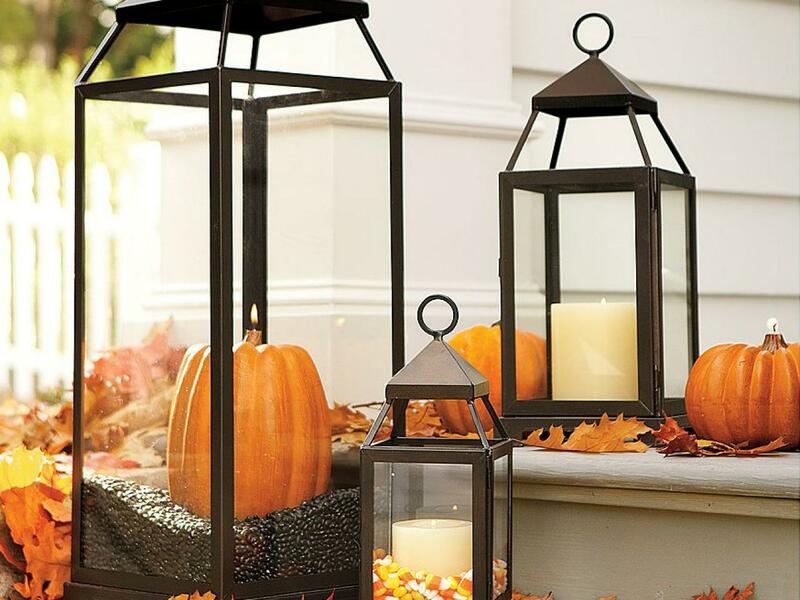 It’s perfect if you want your fall decor to match the rest of your house. This coffee table setting is gorgeous and keeping it on a tray makes it easy to move in case you need the space. 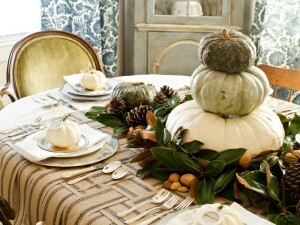 With all the chatting with friends and family and the meal, you will spend a lot of time at the table on Thanksgiving. These are some great options to make sure it looks great. I’m loving these natural-looking settings. The stack of pumpkins as a center piece is so original and understated, but the color scheme as a whole is my favorite part. 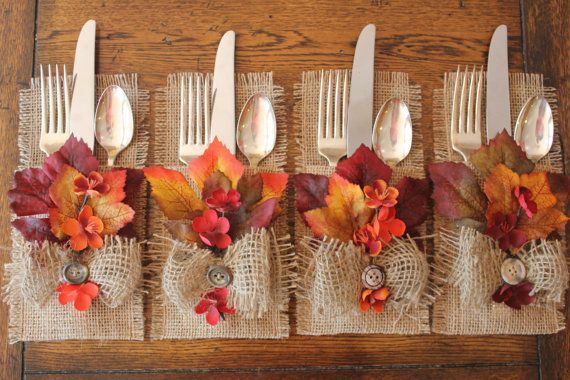 These burlap silverware holders are adorable, and might be an easy DIY. 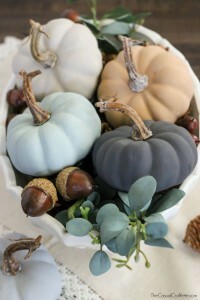 The rest of your house also needs to be ready for fall. Here are some great options for around the house. First, I am in love with these little DIY painted pumpkins because you could paint them any color to match your color scheme. Personally, this blue and green would match perfectly in my house. 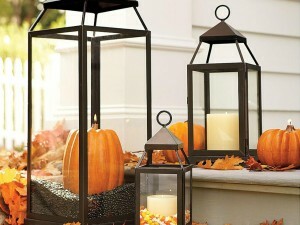 Putting pumpkins in lanterns are a great idea and would work indoors or out. If you put all these ideas together, you’ll be set for Thanksgiving. Happy Thanksgiving every one!